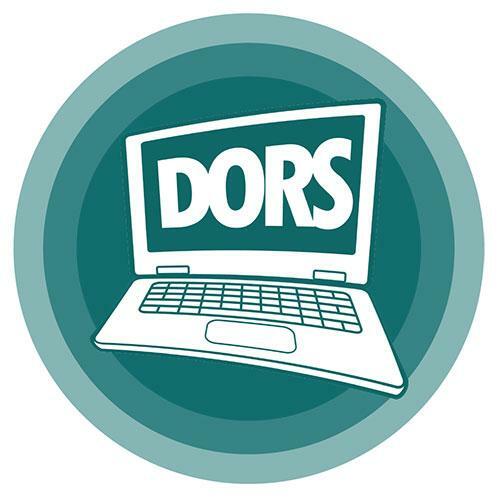 The DoDEA Online Registration for Students (DORS) is now operational. Please visit the DORS web page to register a new students or update information for an existing student. To register to attend a DoDEA School the following age requirements must be met. four years old by September 1 to attend pre-kindergarten or Sure Start. five years old by September 1 to enroll in kindergarten. six years old by September 1 to attend first grade. DoDEA eligibility & enrollment policies differ for DoDEA's two types of schools: Domestic Schools and Overseas. Eligibility to attend DoDEA Americas schools is outlined in Section 2164 of title 10, United States Code and Department of Defense Instruction (DoDI) 1342.26,"Eligibility Requirements for Minor Dependents to Attend Department of Defense Domestic Dependent Elementary and Secondary Schools." The following information summarizes the eligibility criteria. DoDEA Schools in the Contiguous United States (CONUS). Active duty military members, including military reservists and National Guard members activated under Title 10, U.S.C., for 365 days or more residing in permanent living quarters on the military installation. Full-time DoD civilian employees residing in permanent living quarters on the military installation. Deceased member of the Armed Forces who died in the line of duty in a combat-related operation. Dependent students of foreign armed forces residing in permanent living quarters on a military installation served by a DoDEA Americas school. DoDEA Schools in Guam and Puerto Rico. Active duty military members stationed or home-ported in Guam and Puerto Rico, residing in permanent living quarters on or off the military installation, are eligible to attend DoDEA dependents schools in those U.S. territories. Full-time DoD civilians residing on or off in permanent living quarters on a military installation. Full-time, professional, excepted service employees stationed in Guam and Puerto Rico and residing in permanent living quarters on or off the military installation. Member of foreign armed forces residing in permanent living quarters for any part of the school year. Dependent children of full-time civilian employees of non-DoD Federal agencies (who are residing in government quarters), If the employing agency certifies that they occupy a position that is subject by policy and practice to transfer AND THE EMPLOYING AGENCY AGREES to reimburse the DoD for the educational services provided. Dependent students of the West Point Athletic Association (WPAA) contract employees. Dependent students of full-time civilian employees of the United States Immigration and Customs Enforcement and the United States Customs and Border Protection residing in Puerto Rico. Dependent students of full-time employees of the American Red Cross residing in Puerto Rico and performing emergency services on behalf of active duty military members. Note: DoDEA Americas schools are not authorized to accept tuition payments from individuals. Note: Residence in permanent living quarters on a military installation served by a DoDEA Americas school program does NOT guarantee eligibility to attend the DoDEA Americas schools. Sponsors are required to meet the criteria listed above, regardless of residence. DoDEA Americas is not authorized to enroll students whose sponsor does not meet the eligibility criteria. Eligibility to attend DoDEA Europe or DoDEA Pacific schools is outlined in Section 921-932 title 20 U.S.C. and DoDEA regulation 1342.13, Eligibility Requirements for Education of Elementary and Secondary School-age Dependents in Overseas Areas. Qualified dependents are authorized to enroll in one of four enrollment categories based on the request of the sponsor. Dependents in enrollment category 1 receive first priority, all others are enrolled on a space-available basis in priority of category of enrollment. Revalidation of the student's registration for the next school year starts in the spring. If the sponsor's DEROS/PRD has expired by September 1, extension orders (IPCOT, R.A.T., Command Letter) are required. If the sponsor's DEROS/PRD is indefinite, proof of continued overseas assignment is required. If the sponsor is a locally hired DoD civilian, current year certification of employment from the servicing HRO and a copy of notification of personnel action (DA 3434 and SF 50) is required. Parents or legal guardians must fill out a Withdrawal/Records Request form at least two weeks prior to the student's last day of attendance. If the student is leaving within twenty days of the semester, PCS orders must be submitted to the school. If the student is withdrawing due to Early Return of Dependents, a letter from the sponsor's command must be submitted. Once Eligibility has been established you will need to submit the necessary documentation for proof of Eligibility. Note: This list is not all inclusive and is subject to modification without notice based on regulatory changes. It is always advisable to check with the registrar at the school or district office prior to registration for the most current, as well as local, requirements. Local districts and schools may require additional documents be submitted during the registration process. Most DoDEA schools list the additional required documents on their websites. If neither the sponsor nor spouse are the biological parents of the child, court ordered custody or guardianship documents are required (power of attorney or notarized agreements between biological parents and sponsor are NOT accepted). Note: If court order names only the spouse as guardian or custodian of the child, the sponsor will be required to complete and sign an in loco parentis affidavit (available from the school registrar). Letter of Identification (LOI) or Letter of Agreement (LOA) NOTE: Official travel of defense contractor authorizing dependent education subject to availability on a tuition-paying basis. The LOI/LOA must identify the organization contract number, length of the contract, and names of dependents. Letter from housing office that housing will be available and offered within 90 school days. Regardless of registration type (new or returning) you will have to physically visit your corresponding's registrar's office (generally located at your child's school) to complete the process. To maximize your time, we highly recommend you fill out the required and recommended registration documents, and bring the required documentation prior to your visit. While we hate to see you go, we would like to help make your transition as easy as possible. Please complete the Student Withdrawal / Records Release Form and return to the Student Services Department. Be sure to speak with your counselor so they can coordinate with the new school if necessary (especially with Juniors and Seniors). Give as much advance notice as possible. Rising seniors (current Juniors) may request continued enrollment by submitting a Good Cause Waiver. Other DoDEA students occasionally may be able to continue their education through the end of a school year even when military sponsors move out of eligible quarters. This is decided on a case-by-case basis and is requested by submitting a Continued Enrollment Request Form. Upon receiving final notification of your departure from the community, please inform us at least two weeks prior to your actual departure. This notification is needed to prepare your child's report card, transcript (if applicable), attendance records, and other documents. No progress marks are given in any quarter unless the child has attended school for 20 days during that quarter. In the final quarter, no recommendation for grade placement can be given unless the child attends school for 20 days in that quarter. Elementary school withdrawal is different than higher grades regarding requirements and is based on the 20-day rule. With ten days prior notification, parents are welcome to pick up student records from the office on the last day of student attendance, after 2:30 p.m. The sponsor/spouse must sign for records, provide a copy of orders, and present an I.D. to receive the child's school records. It is DoDEA policy that copies of student records are sealed and given to parents to be hand carried to their next school. Official (original) records will be sealed and mailed upon request by the receiving school. Parents who would like a copy of their child's records for their personal files must personally request an extra set of records to be made when filling out the withdrawal form. We cannot make personal copies without advance notice. It is a requirement to clear all debts (replacement or payment for lost or damaged books, library fines, cafeteria debts, etc.) BEFORE the last day of attendance. "Although (student's name) was unable to complete the school year due to the military transfer of his/her family, had he/she continued their current progress through (the date for 20 days of attendance) he/she would have been promoted to grade __ next school year." If a child is departing school on or after the date of 20 days of attendance in the 4th quarter his/her report card will be completed as usual, to include all grades, comments, and promotion to the next grade level. Excerpt from policy: The policy therefore requires that students present verification of the date of their sponsor's departure, i.e., Permanent Change of Station (PCS) or other official orders, to school officials in order to receive consideration for full academic credit. Students who withdraw prior to the 20-day limit receive a "withdrawal" grade rather than a final grade. At the elementary school level, administrators may annotate the child's progress report to indicate the student's status. Speak with a school counselor to request Accelerated withdrawal. October 31, 2018 Complete list of DoDEA school registration Forms.